Megasus Horserunners are the result of long-standing research and 20 years of studying the horse's hooves. We found the common understanding of the functioning of the hoof to be wrong. People still think that hooves are rigid and stiff, only able to move 1-4mm on a horizontal plane – this is simply not the case. As early as 1998, we proved the existence of vertical hoof movements and published our first study in the renowned science magazine GEO. In a wedge experiment, we glued wedges under one heel of horse’s hoof and found out that the hoof could compensate for wedges between 1-2 cm (0,4-0,8”) without any impact on the joint. From here we concluded that the hoof works similar to a joint, compensating for uneven grounds. 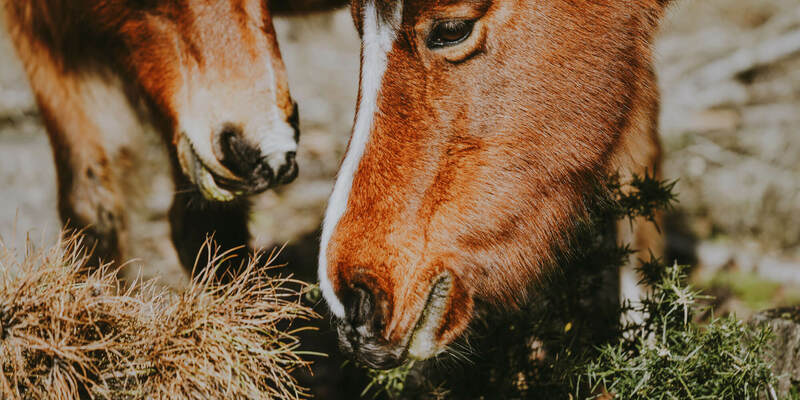 When fixing the hoof with a rigid material such as iron, tendons and ligaments will become immobilized – a feeling comparable to wearing a cast. Megasus Horserunners are flexible and allow all 3-dimensional natural hoof movements on any type of terrain. Flexible doesn't mean soft, as the hoof itself isn't soft. It means that the hoof moves under the weight of the horse. Besides it being a bit gross, how would it feel if you tried to put on your shoes? Would they still fit? A horse has to stand on that long toenail and carry all its weight. In two months, a hoof grows 1-2cm (0,4-0,8”). Leaving a permanent hoof protection on for too long can have negative consequences for the tendons and ligaments and can cause serious tension in the hoof. If you choose the Megasus Run'n'Fun, we recommend removing the Megasus Horserunners after about 4 weeks, depending on hoof growth. Your horse's hooves have regrown and you can let your horse go barehoof or mount the Megasus again. If you decide to let your horse go barehoof, you can wait a bit before trimming. Gluing and barehoof are not mutually exclusive - quite the contrary! Thanks to our unique gluing system, they are glued precisely on the hoof wall with minimal glue. This allows for excellent hoof development, meaning strong and quality horn regrowth. The hoof soles remain glue free. This is a major advantage for the health of the hooves! Immediately after removal of the Megasus Run'n'Fun, your horse is able to walk barehoof. If you decide to let your horse go barehoof, your horse can naturally trim off any excess horn material. As needed, just reapply the Megasus Run'n'Fun at any time. The Megasus Medn'Rehab, on the other hand, can be put on and taken off as needed and you can let your horse go barehoof at any time to strengthen the hooves, tendons, and ligaments. And when it´s time for performance: clip-on Megasus Horserunners! We love horses and we care about their health. And we love movement- when horses move, it's poetry in motion. We think that sports and movement keep us and our horses healthy. 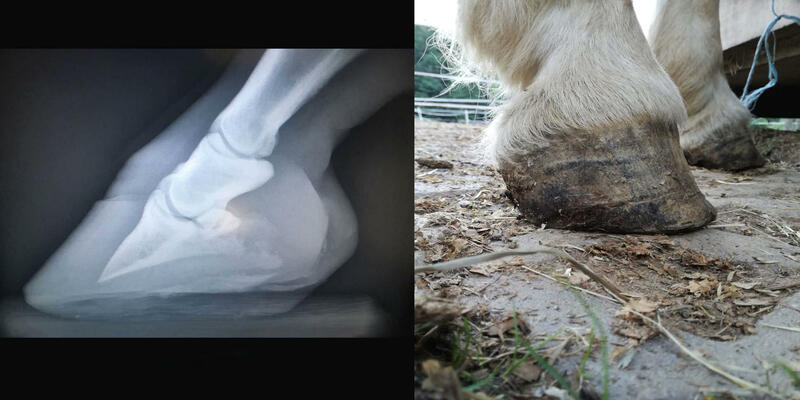 That´s the reason why we've invented a hoof protection for all types of terrain in every gait. To keep speeding along! Megasus Horserunners – for more movement!